The new School of Health & Human Sciences (SHHS) combines the School of Physical Education and Tourism Management (PETM) and the School of Health and Rehabilitation Sciences (SHRS). Our faculty, staff, and students have always collaborated on research projects and community engagement initiatives. Now that we’re one academic unit, those partnerships can deepen and expand, leading to more opportunities for everyone. The formation of the School of Health & Human Sciences will allow us to leverage the strong research collaborations that tie all of our schools to one another and strengthen our research and educational enterprise as a whole. SHHS is the product of two well-established and historic IUPUI institutions. PETM has a history that stretches back 150 years, making it the oldest unit at IUPUI—and the oldest physical education program in the nation. 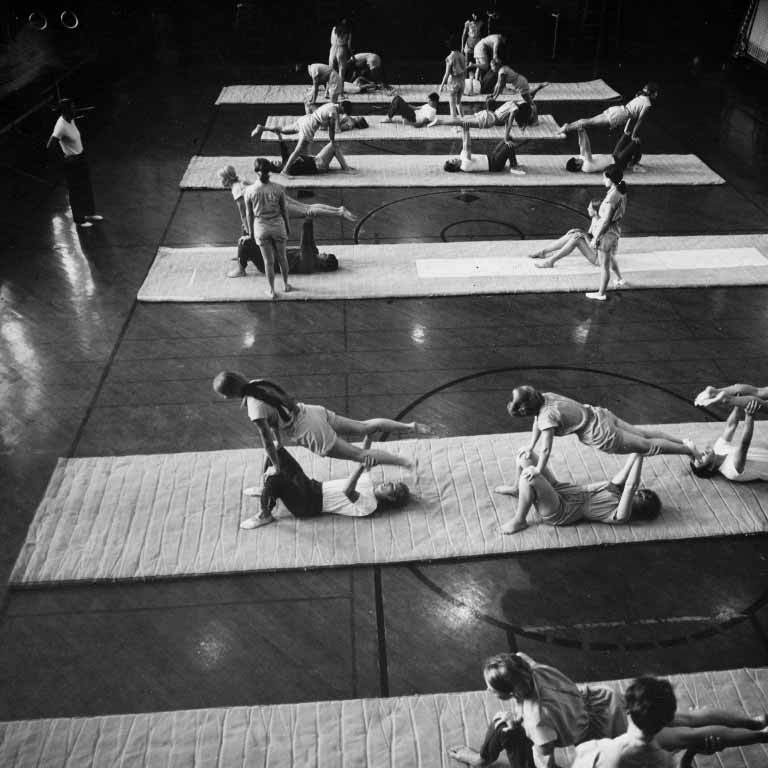 Starting with one degree offering in physical education, PETM grew and evolved as the decades passed. At the time of the restructuring, its three departments offered five undergraduate programs, two graduate programs, and 17 minors and certificates. 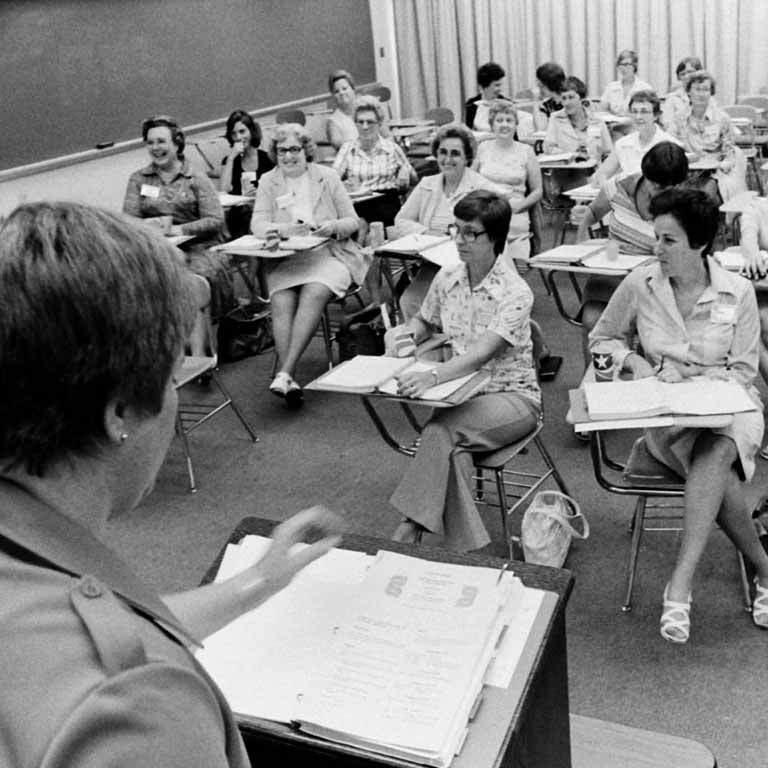 SHRS can trace its beginnings back to 1941, when the IU School of Medicine first began offering allied health degrees. It underwent a number of name changes as time went on and continued to add academic programs to its portfolio. By June 2018, it was home to five departments offering one undergraduate degree program, seven graduate degrees and four certificates and minors. While they’re now united under one school, our eight departments remain unchanged—offering the same degree programs and engagement initiatives. That means SHHS is home to six undergraduate degree programs, ten graduate degree programs, and 17 certificates and minors. We have faculty members in three facilities, but still maintain our small student-to-faculty ratio and focus on personal attention. As one school, we’ll make an even bigger on the world around us as we work to improve lives and educate the next generation of health and human sciences professionals.